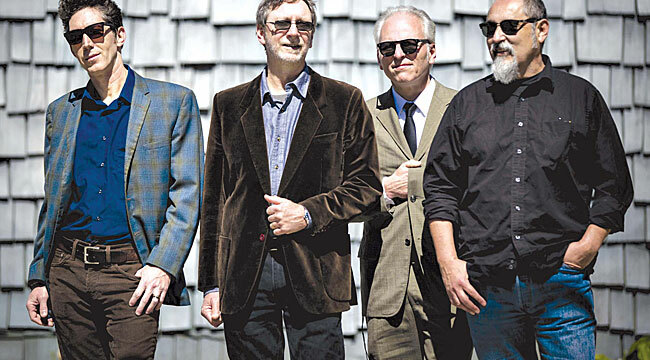 A New Orleans band that doesn’t necessarily sound like a New Orleans band, The Iguanas have been kicking around since 1989. With their recent releases, 2012’s Sin to Sin and this year’s Juarez, the band has hit a new creative high. The albums show off the band’s extensive influences and dip into blues, Americana and jazz. Bassist René Coman recently phoned to talk about the band’s new album; he also dissected his contributions to the disc. You’ve embarked on a lengthy tour this summer. Talk about what made you guys want to hit the road so hard. We put out a new record this year. We put out a record a couple of years ago so it’s been a productive time. We are back with our original booking agency, which we had been apart from for a couple of years. Everything has lined up. The band is clicking on all cylinders. We didn’t have any outside obstructions. The dates were there and people were wanting to have the band back. The dates have been going great. We ran into Kaz Kazanoff, a Texas saxophonist who’s played with Marcia Ball and he watched us play and put up a tweet that said something like, “Man, I really dig where the Iguanas are at right now.” That sums it up good. We dig where we’re at right now too. We’re playing as a four-piece and we really love the space it affords us and everyone is sounding strong. It has a telepathic aspect to it since the same band has been playing together for a few decades. It has a lot of air under the wings. Talk about the band’s formation. The group dates back to 1989. I knew the fella that was playing bass in the band and had met the other guys. They would play these late shows. The jobs I was playing at the time would get off earlier and I would swing by where they were and check them out. I wound up sitting in with the band one night. It really clicked and my influences and background lined up perfectly with the wide variety of music they were playing. It was one of the things that was meant to be. I started playing with them in 1990 and I have been with them ever since. When I started playing with the band, we had 20 or 30 people in the audience but it was consistent. I liked the look of the audience. It was younger girls and a small percentage of guys. I thought it had potential. A couple of months later, we suddenly had 200 people in the crowd and it built from there and took on a life of its own. How has New Orleans changed? New Orleans has a very long arc to everything about it. It changes very slowly in most cases. There are some period blips on the scale but it really averages out. One thing that’s different is that there are fewer club bands. There have always been a lot of people playing music but a lot of it was private parties and society events. They have musicians who supported themselves but never played in a club; it was all hotel work and Mardi Gras balls. They have a lot of bands in New Orleans now. There are more clubs and more club bands. It’s a bit of a gold rush. People came here after Katrina to volunteer or they knew people or they just wanted to see what was like. Some really young kids came and squatted. You had population injection that carried over to musicians. You had a lot of people coming in who aren’t from here. They thought it was a potentially cheap place or at least a groovy place to live. The musical tradition is so rich, people want to come and soak that up. These blips have a way of getting smoothed out over time. I guess that’s how you separate the wheat from the chaff. You draw from a few different styles of music. Talk about that a bit. We all are fans of all the different types of music we play. Our two singers both have Mexican ancestry and our saxophonist grew up playing in his father’s mariachi band. Our guitar player grew up in the Northern Bay of California listening to Northern Mexican music. Both of those guys are fans of Doug Sahm, which is a slight variation on the Northern Mexican thing. New Orleans has had a huge mambo tradition and Caribbean influence. We’re all fans of blues and jazz. If somebody said they wanted to play a style that was repugnant to me, I would have to tell them it’s a bridge too far and I can’t got there. That never happens with the Iguanas. We seem to find a central thread to all of them. You’re like a New Orleans version of Los Lobos with the way you mix in the blues and the Latin music. We’re fans of those guys. We just ran into César. Talk about the new album a bit. I’d say part of it is the style in which we recorded. It was a lot of live stuff recorded on the floor with minimal overdubs. It’s not like we built anything from the drum tracks up. What winds up happening is that you retain that rocking element of the band playing live. That’s the central core of what you get on tape. Somebody said this is the most straight ahead rocking album The Iguanas have ever made. Ok. It’s not like we set out to do that that. You go into it with the idea that you’re open to the process and you’ve done it before. You follow the music where it leads you. You come up with this thing at the end. You go, “What is this here?” Records we see as fans have these central themes were recorded without that in mind. It’s the material you have. The material tends to self-organize. Our brains want to find patterns in things. The listener starts to pick out central themes. It’s a reflection of where everyone is at that moment and where everyone’s taste is leading them. “Wedding of Chicken and Snake” is an unlikely track that’s gotten play on radio in New Orleans. It was a little groove piece. I can imagine this whole scenario relating back a scene from to What’s Up Tiger, Lily?, the Woody Allen dubbed gangster film. I came up with this construct of the lyrical content based on this imaginary dialogue that wasn’t in the movie but was suggested by the dialogue in the movie. It’s a fun little number. It works well on the recording. It sounds unusual. It’s a bit of a left turn on the record. “Problems with You” is a polka that came from a discussion we were having during rehearsal. I started riffing on the subject at hand. I said, “I got a lot of problems with you.” The whole thing came to me as I was driving home, I turned the phone on and started singing these lines into the phone. “Slumming” is another one I wrote. It’s funny how people in New Orleans hear it and think it’s about the Bywater, this section of town behind the French Quarter and the 9th Ward. It’s a neighborhood that experienced white flight in ‘60s and ‘70s and is very rundown. That’s a neighborhood that has become really hot and people moving here have bought up that housing and revitalized the neighborhood. It’s really about one guy who left New Orleans way before the flood. It’s about people who come to New Orleans and are going to get down with it and be part of the street culture. They’re trying a piece of clothing on. You can tell right off that the bat that they’ll get washed out. People come here for the first time and feel like they’re finally at home. They feel like they are somewhere where they really belong. Other people maybe not so much. It’s a little too funky for them. The song touches on that and touches on the locals pandering to those people and trying to impress the long-term tourist. Treme captured some of that too. Yeah, definitely. And in a certain way promoted it too. People were like, “I wanna be a part of that.” Like anything, it’s a double-edged sword. It’s great you’re on a new creative high. Thanks. We’re really happy about ourselves. 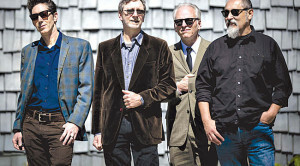 Hi Jeff, Really enjoyed your article, interview on The Iguanas. I came over it on Facebook this morning. I had no idea on their band status of recent. I’m in Michigan and was fortunate to catch these guys at, The Ark in Ann Arbor several years back. Yes here in the great white north, Michigan. I sat up near the stage about twenty feet from them. I can only hope they come around again! The photo on your article of them totally caught me off guard. Totally ironic picture of them. Love their Cajun Latin blues style!! I hadn’t top look up their latest release. I’ll have to get it! I’m glad I was able to read your interview. Pelican Bay is one of my favorite songs. Have you heard it? Have a great holiday weekend!